We moms have a ton of tricks in our arsenals (bedtime songs, Clorox wipes, Costco boxes of granola bars), and ginger ale is one of them. When I was little, my mom fed me small sips of the soda to get me through fevers (at room temperature, for some reason). And I still offer it to my own tummyache-suffering kids, under the belief that ginger helps soothe stomach troubles. The carbonation seems to help as well. (Pro tip!) So while one mom’s lawsuit against Canada Dry may seem outlandish to some, I totally get it: She alleges that the soft drink touting itself as “Made from real ginger” actually contains very little (if any) of that actual substance. 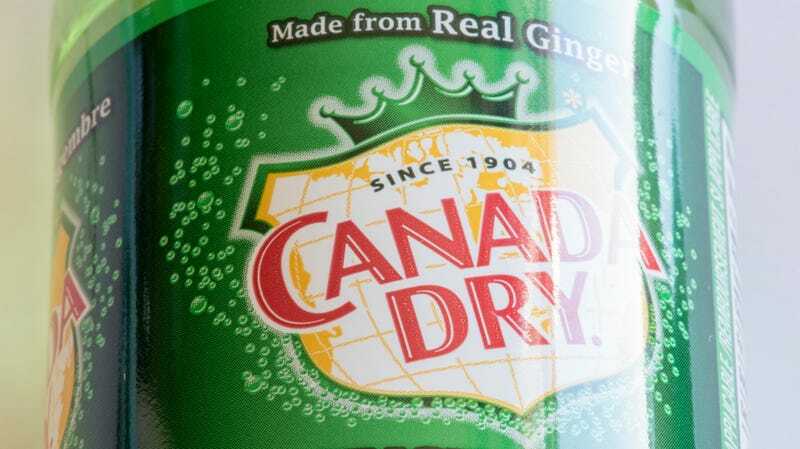 The Washington Post reports Julie Fletcher filed a federal lawsuit against the owners of Canada Dry ginger ale “alleging the beverage does not contain ginger… Canada Dry’s listed ingredients are carbonated water, high fructose corn syrup, citric acid, sodium benzoate, natural flavors and caramel colors.” The Post points out that this is not the first lawsuit Canada Dry has faced; in a previous, similar suit, although lab tests proved that there is no ginger in ginger ale, “the company argued that ginger is used to make the ‘natural flavoring’ in the drink and contested the methodology of the lab test.” That case was eventually dismissed. In Fletcher’s case, the Buffalo News mentions that “in her court papers, she said her gripe with Canada Dry dates back to her days as a young mother who saw ginger ale as a healthier option to other sodas and as a helpful remedy for stomach upset.” Sounds familiar! I for one, feel like a grade-A sucker, much as I love the dryness of Canada Dry (that ginger ale/lemonade combo is awesome). And it certainly tastes like ginger? But I may start keeping actual ginger beer on hand for future tummy emergencies.